A few months ago we obtained some heart pine from a historic hotel in Printers Alley. For those that aren't familiar with our beloved city of Nashville, Printers Alley is a famous alley downtown, between Third and Fourth Avenues, running from Union Street to Commerce Street. In the early 1900s, thirteen publishers and ten printers were located in the area. The Tennessean and the Nashville Banner had their offices there. The street contained hotels, restaurants, saloons and speakeasies. Back in the day, the Utopia Hotel in Printers Alley was the centerpiece of a booming downtown gentlemen's district. Apparently U.S. Presidents Theodore Roosevelt and Rutherford B. Hayes visited the Utopia Hotel at some point. The 6-story Utopia building, where a new hotel is now going in, was originally built in the late 1800s. As a part of the transition/construction, we were able to garner heart pine boards from the floor joists of the hotel (pictured below). With so much new construction here in Music City, we are glad we can do our part to preserve a bit of our city's past. 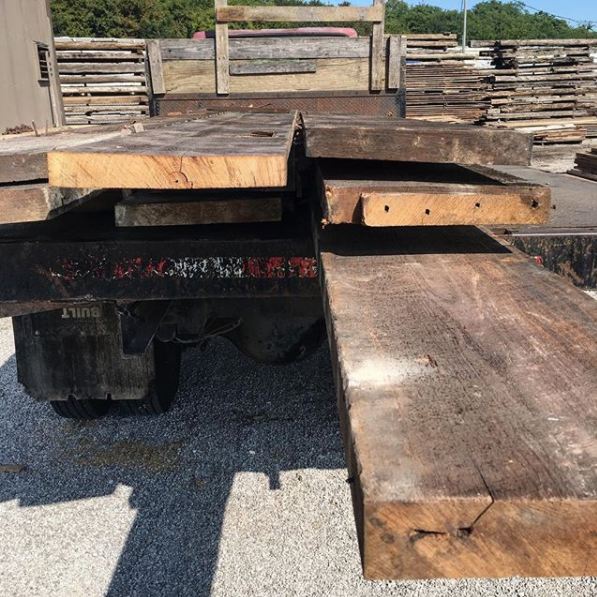 Reclaiming antique or historically significant lumber from demolition is one of the most important parts of what we do. 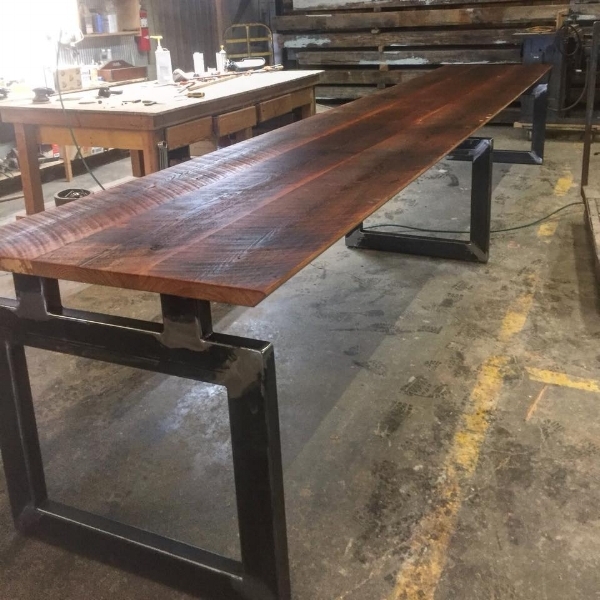 Using some of the Utopia heart pine, we built this table... which we like to think is a 17 ft. long piece of Nashville history! The new hotel, Dream Nashville, consists of four buildings — the Climax Saloon, Utopia Hotel and two smaller buildings in between. It's expected to open in mid-2018. To learn more about how we got started reclaiming antique lumber, click here.